Original FOR SALE $400. Interested contact me here please. 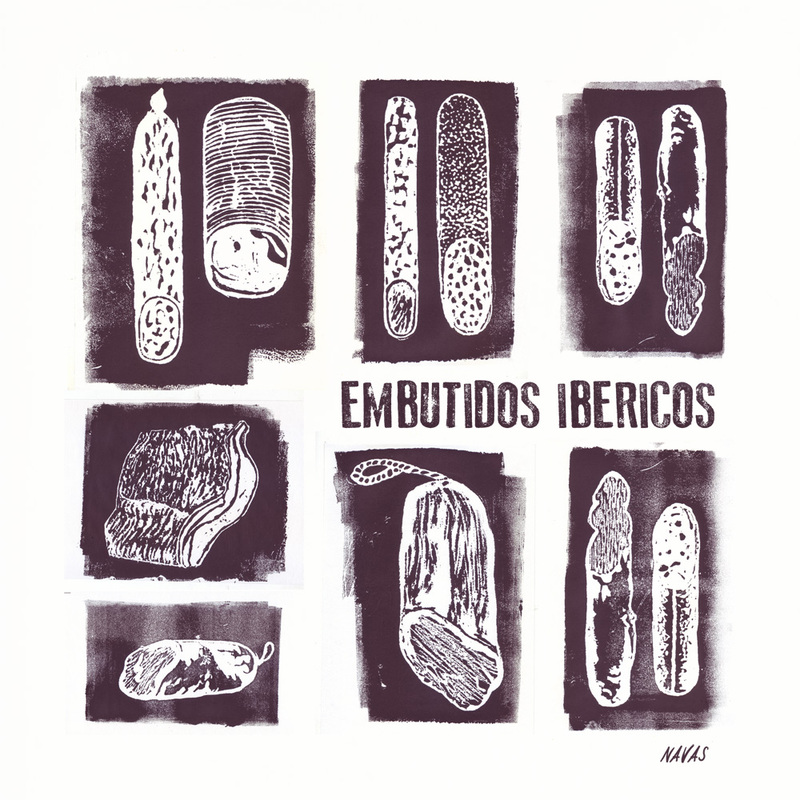 I love “Embutidos Ibéricos” - Spanish sausages - although I don’t eat them anymore. 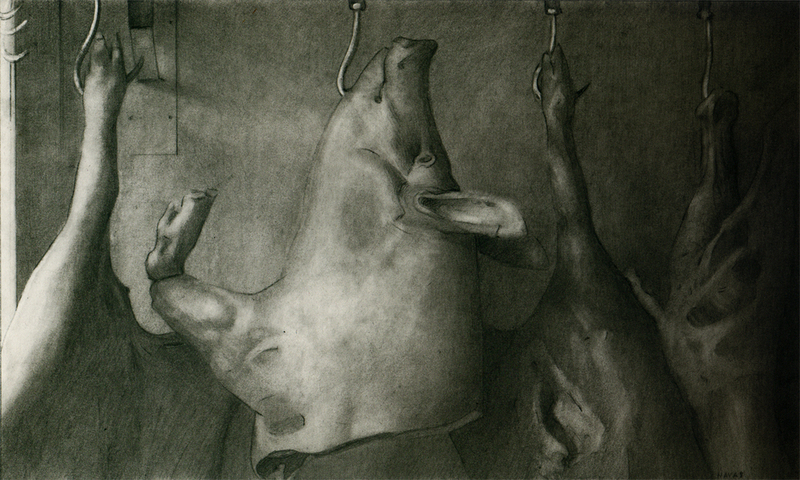 One of my childhood strongest memories is watching the slaughter of a pig and the making of hundreds of different sausages using all the parts of the animal. Label design for hot sauce "La mar de Caliente". 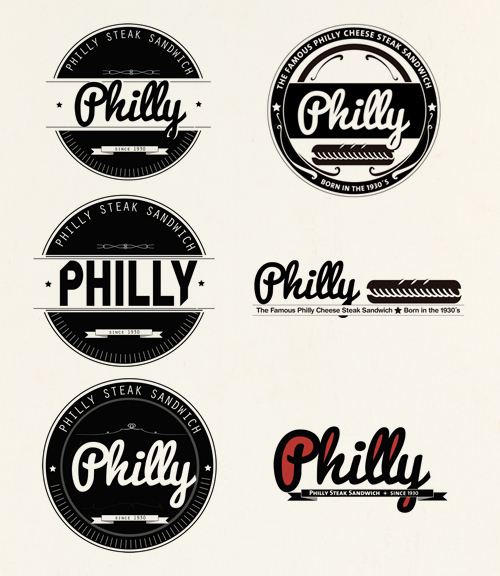 Logo treatments for "Philly Steak Sandwich" restaurant in Madrid, Spain. A painting from an ongoing series of still lifes I am making on the iPad (with Procreate). 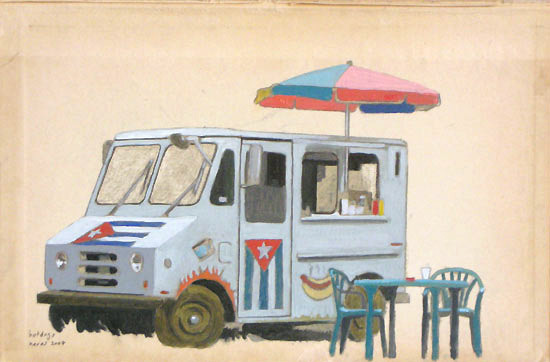 The classic magic trick of the disappearing woman served as inspiration for these illustrations for Food Republic about the curious history of the Caja China, or Magic Box, a Cuban invention for perfectly cooking suckling pig, the Caribbean Christmas centerpiece. This painting is made from a still of one of my favorite movies "The Station Agent"
When we moved to Los Angeles, I wanted to live near Thai Town, the center of the biggest Thai community outside of Thailand. I have traveled in Thailand, and the cuisine is one of my favorites. Here in L.A., I have journeyed through Thai Town to eat noodles, barbecue, Southern Thai home cooking, Thai street food…trying new dishes and drawing in my notebook every time I go t a new place. Spice Station is a store in the Silverlake in Los Angeles that sells hundreds if not thousands of spices from all over the world. We eat a lot of syrup at my house. My brother-in-law has been a maple syrup farmer for more than 25 years. My wife, Judy Cantor-Navas, had the idea of doing a story for Food Republic about the various grades of syrup, something that people tend to have passionate opinions about. As seen here, I riffed on the Pantone Color Chart to represent the different shades of maple syrup. Iphone painting of a glass of Tequila reposado. The lunch you pack for your child says a lot about YOU. 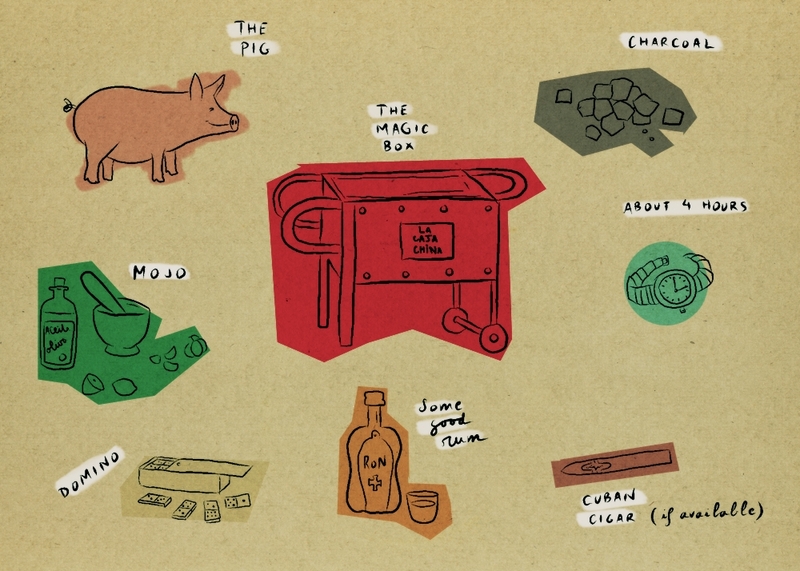 That was the idea for this feature for Food Republic showing hypothetical lunch boxes prepared by 5 different types of fathers. I drew them with industrial design-style graphics with colored pencils. I live in Los Angeles where the food truck culture is huge. 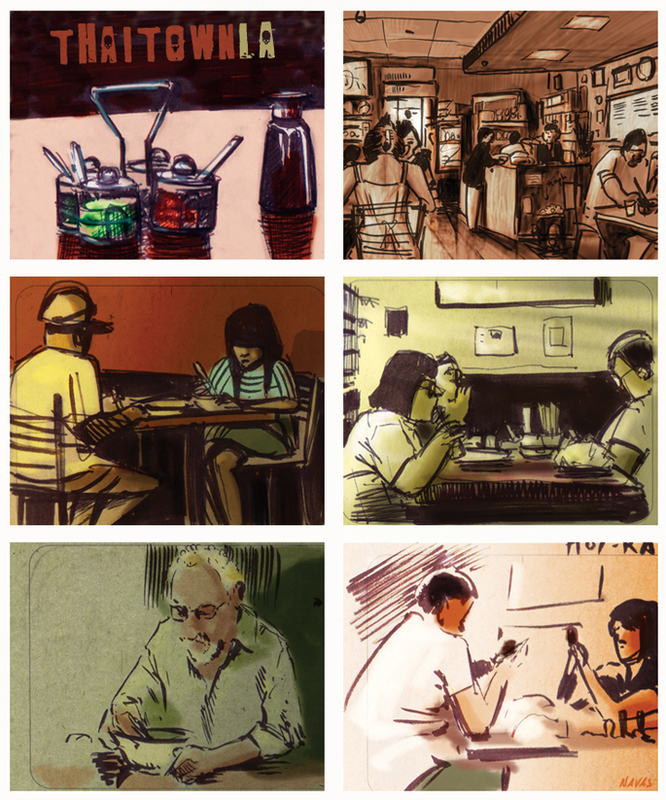 These illustrations are from one of my first illustrated guides for Food Republic. I wanted to create a look between an informational chart and a street art graphic. Five countries, five different barbecues. Meat is the protagonist in this series for Food Republic. The scene and the soundtrack changes, but the role of the outdoor cook at the fire surrounded by friends stays the same whatever the country. In 2007 my wife, Judy Cantor-Navas, and I were invited to the Festival of Sacred Music in Fez. We also took a cooking class with chef Lahcen Beqqi. With Lahcen, we shopped at the souk and prepared a three-course meal in the kitchen of a Riad. Our trip to Morroco inspired a book, called Salaam, with texts by Judy and my illustrations and photographs. This is the illustration for the lamb tagine recipe.